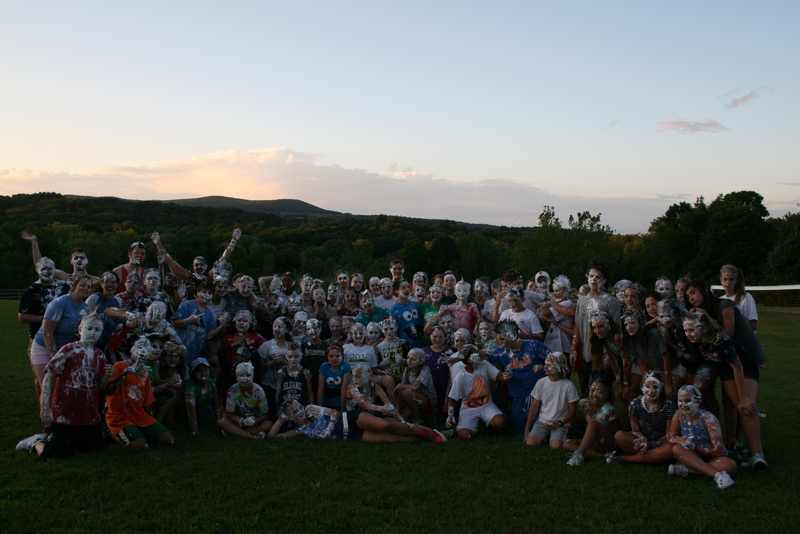 Once per session (every 2 weeks), the counselors and kids play a game called Chaos for one of their evening activities. It’s a crazy game, involving a field, water buckets, loads of cans of shaving cream, some running around and a lot of screaming. Yep, you get the idea. It’s very fun, and very messy, and staying out of the way whilst holding an expensive camera proves almost impossible!